One of the most popular social networks is Instagram, the right place if you look to connect with people worldwide and make new friends. Yoto is a super simple and super fun social app that will help you to connect with IG users of your choice, meet and chat, to make friends and stay connected on Instagram. Because of all this and more that this app offers you, we decided to pronounce it as our Social App of the Week. Read more about it. What is Yoto all about? Yoto is developed for iOS users, created especially for all Instagram users that wish to meet new people from Instagram and make new Instagram friends. Super simple and fun, the app is quite easy to use with a clean user-friendly interface, offering IG users the chance to swipe and discover new people from Instagram they like and connect with those users on a video chat. Have fun making new Instagram friends with this amazing app that will get your Instagram experience on the next level. To make your Instagram experience even better, this social network for Instagram users offers the features you need. The app will allow you to discover new Instagram users and connect with users of your choice. You can either meet to chat or press next to skip a profile. 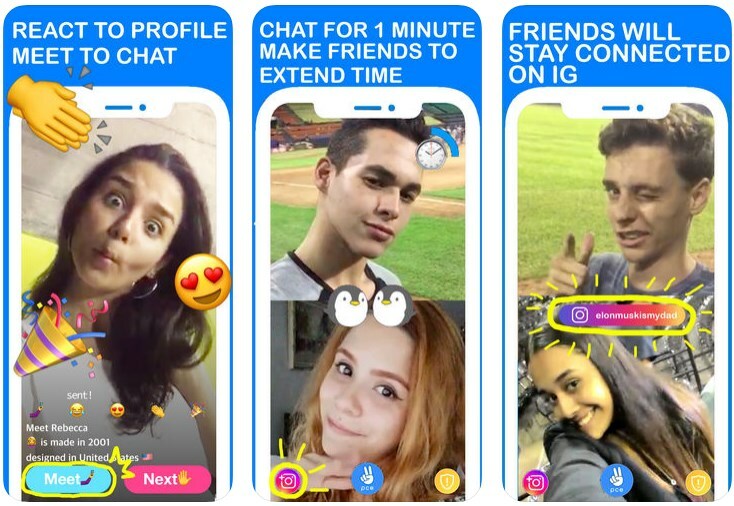 Within the app, the video chat is only lasting one minute. For extending your video chatting time with a person the app requires you to first become friends with that person. To chat free and remove the time limits on video chatting regardless of your friendship status you need to pay and subscribe on the app. All you need to do to make new Instagram friends is to swipe, find an IG user you like to video chat with, become friends and you will stay connected with people you meet on Instagram. Download it for free now on App Store to swipe, meet and video chat with Instagram users of your choice!